ApplicationApply by brush, roller, or hopper spray gun depending on the desired finish. The thickness of the coating is determined by the application. 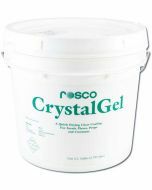 When coating over fine details, use successive thin coats to build up a protective layer without obscuring the details. For an extra smooth finish without sanding, smooth the coated surface with a wet sponge before the FoamCoat has set completely. DilutionUse FoamCoat undiluted for most durable single coat application. 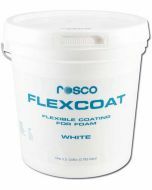 FoamCoat may be diluted with water if desired. Thinner mixtures will flow and level more than an undiluted application and will dry to a thinner coating. MixingStir well. Due to the weight of the solids in FoamCoat settling may occur. Use a power mixing blade for best results. Film ThicknessVaries with application. 1/16" - 3/16" per application. CompatibilityFoamCoat is compatible with most water-based coatings and is easily painted or tinted. 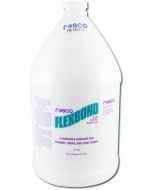 Tint FoamCoat using Supersaturated Roscopaint or a colorant like Proline, Mixol, Universal or Cal Tints. It is not necessary to prime FoamCoat before painting. 7.88" x 7.88" x 7.75"